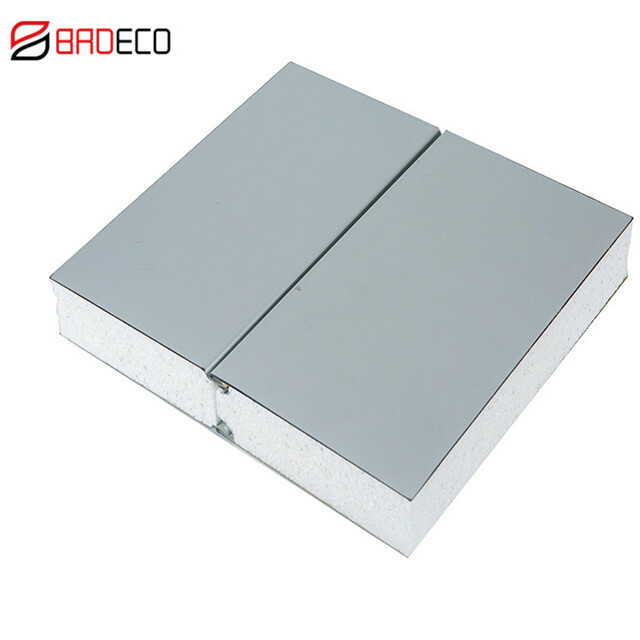 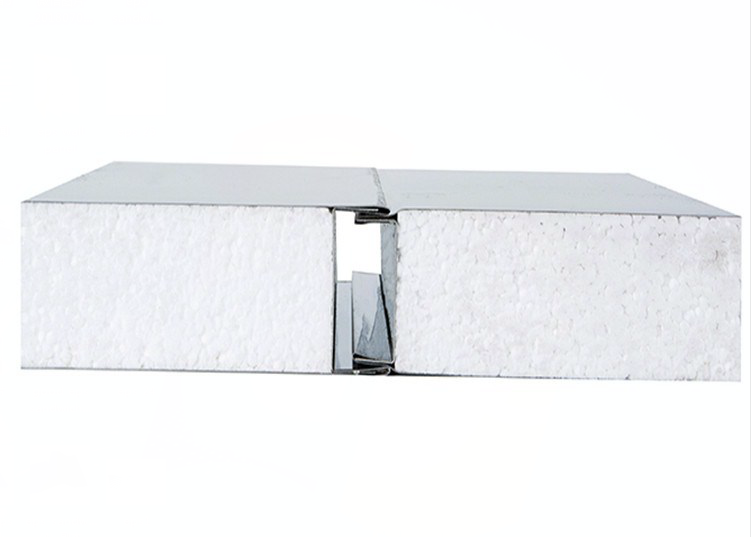 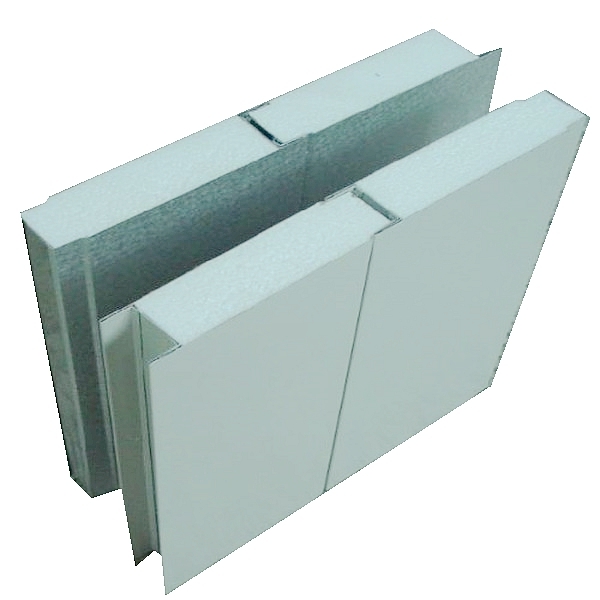 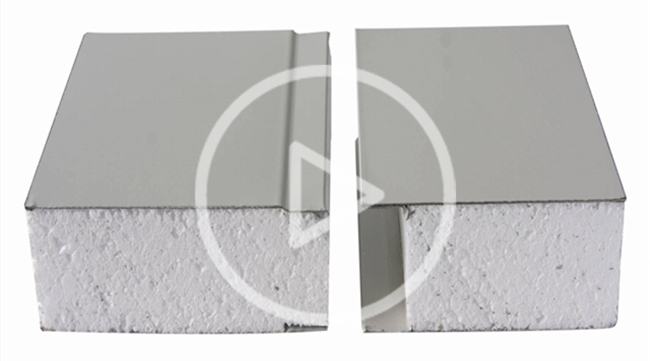 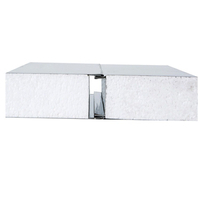 EPS Sandwich Wall Panel with EPS foam cores meet the strictest heat insulation requirements, while also complying with the required insulation properties and maintaining a good bearing capacity. 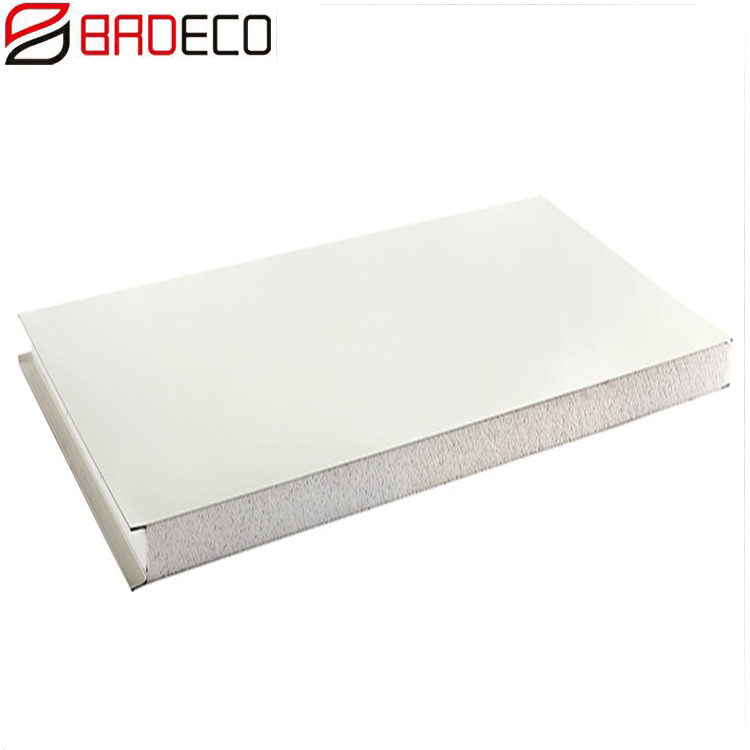 EPS Sandwich Wall Panels are composed of 3 layers, the external and internal is two dyed Galvanized or Aluminum corrugated plates, and core high density EPS foam. 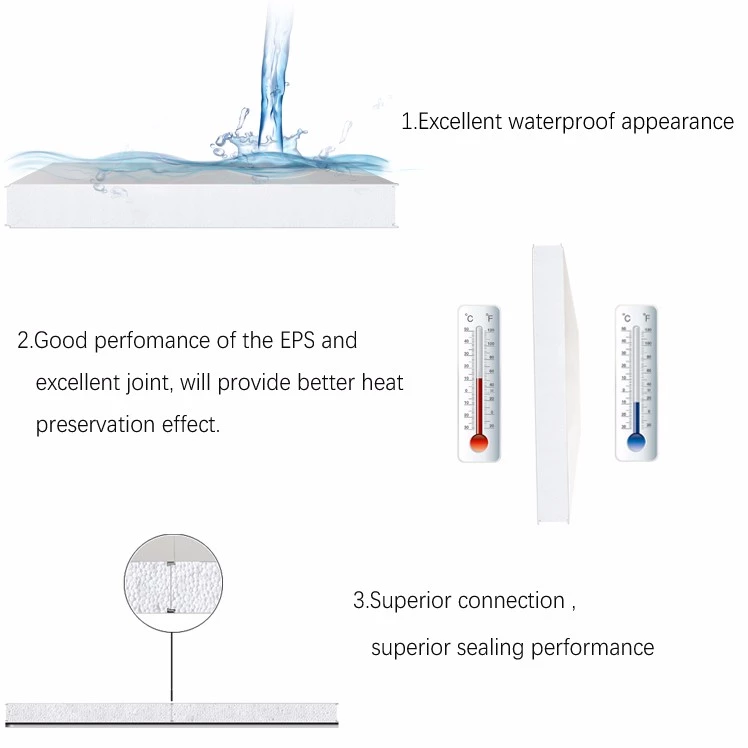 Thanks to their properties the panels may be applied in object that require very high fire resistance, EPS sandwich panel is the most effective acoustic materials used on construction. 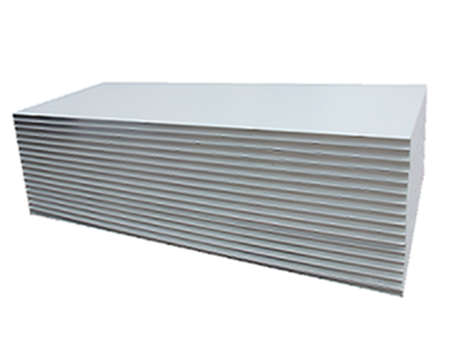 Take the 50mm thick EPS sandwich wall panel for example and the panel can absorb the sound over 30 db/m2.Widely used in the steel structure factory building, activities room, roof, wall, air clean room ceiling and partition. 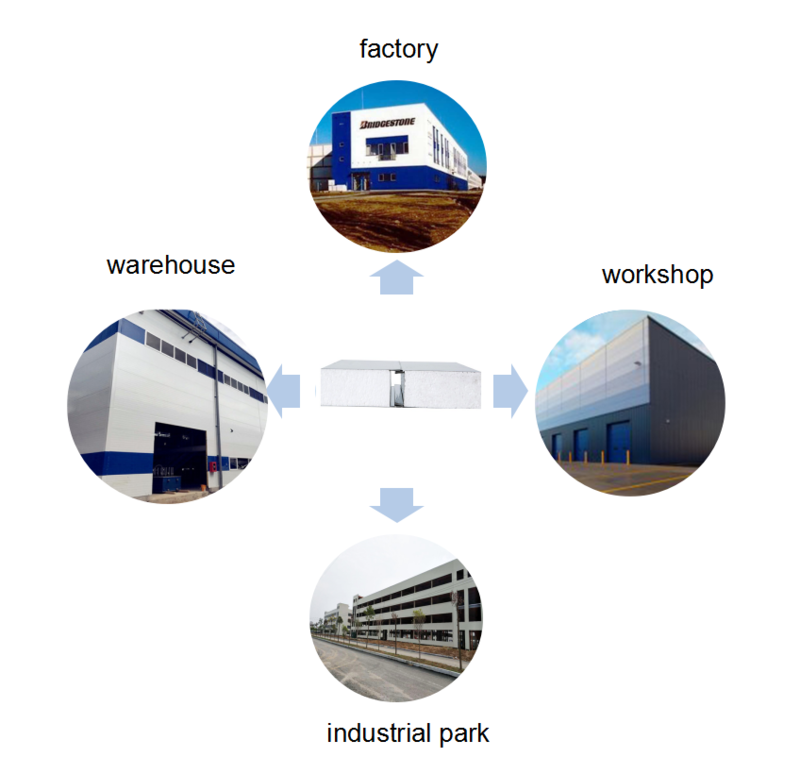 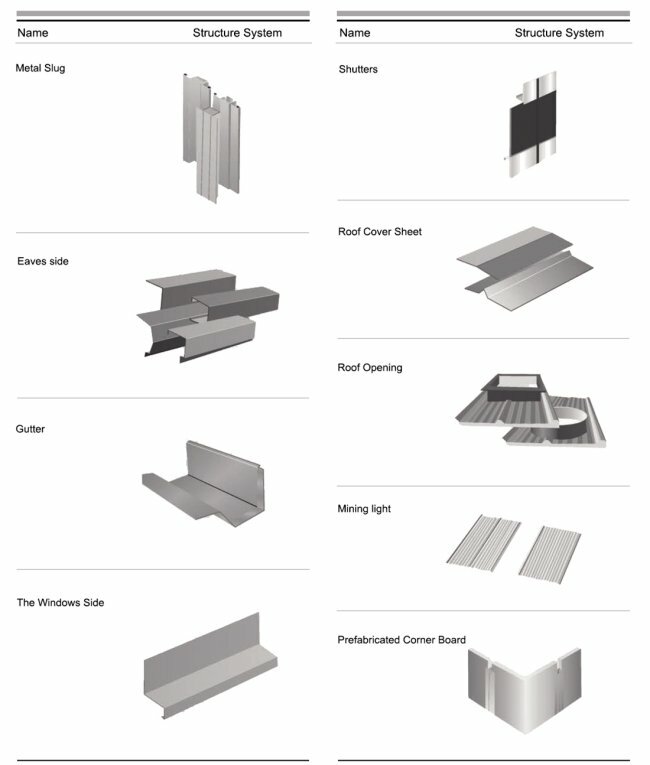 EPS Sandwich Wall Panel are applied as external walls and internal division walls, installed vertically or horizontally on single- or multi-span structure buildings. 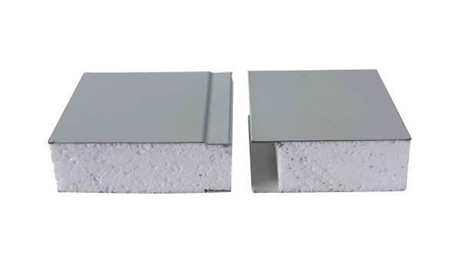 2, Before the installation of EPS sandwich wall panel, it should check whether the verticality and levelness of metope purlin installation requirements, wall frame column vertical degree meets the requirement. 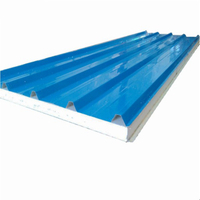 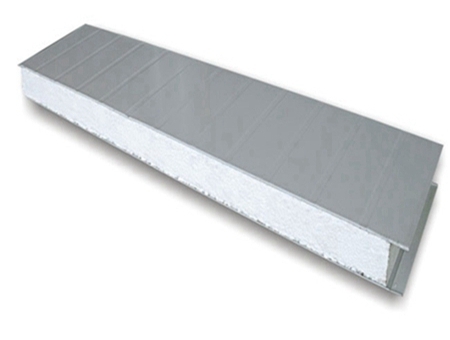 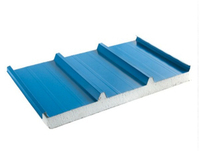 4, EPS sandwich wall panel links with ground.